Good morning! Today I'm sharing a project that I created at one of my upline's events back in January. 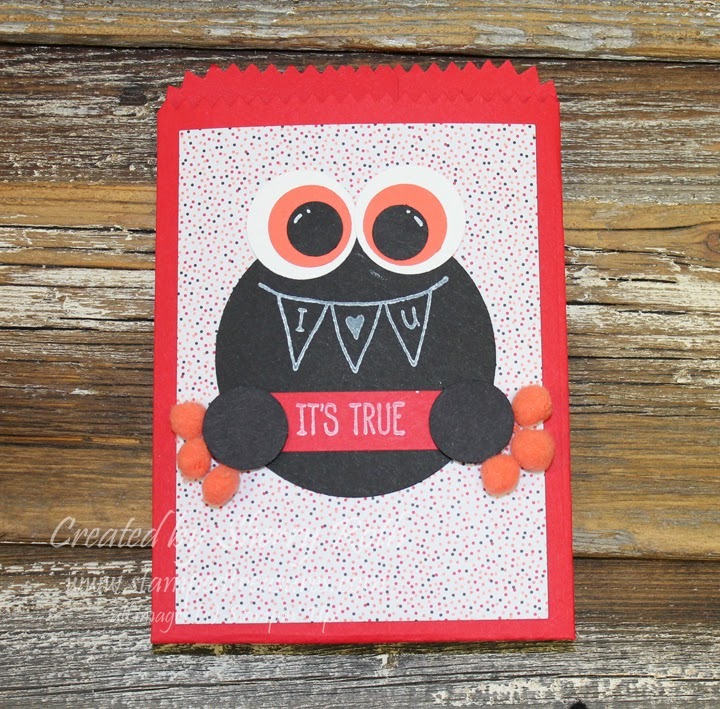 It uses the fun Mini Treat Bag die and a has a cute take on the One Tag Fits All stamp set. It was inspired by a candy topper that was found online. How adorable would this be with a few little treats tucked inside for Valentine's Day? !